This page is designed to provide some common questions about marketing, selling or business profitability. If you cannot find what you want here, please use the comment form below to submit your question. My turnover is going up steadily but my profits are not! Answer : Two things to look for here – is your profit margin being erroded by price pressure or supplier costs and are your fixed costs rising faster than sales. Most of my sales are so small I wonder if it’s worth the effort! Answer: This one can be trickier. Are you selling the right products or are you selling to the wrong customers? Do you have an add-on or accessory that might boost sales values? Is your pricing too low to be profitable? Does this apply to most of your customers or just a small number? 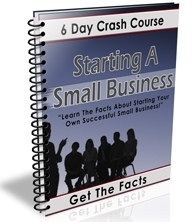 Are you taking on unprofitable customers hoping they will turn into profitable ones later? I have a great product, but too few people are buying it! Answer : Forgive the bluntness – but, who says it’s a great product? If it’s just you, your mom and a few friends, then maybe it’s not great enough to support a business. If your customers say it is great, then get them to tell you exactly why they think it’s great and then tell others. Does it’s attractiveness appeal to a large group of people or just a select few? I have very satisfied customers but I can’t convince others! Answer: Testimonials are the answer here. Ask your existing customers to express their appreciation in writing, using a customer satisfaction survey will help. Publish excerpts from these testimonials in your brochure, sales letters and presentation materials. I get a lot of enquiries, but can’t turn them into sales! Answer: Look at your pricing and at your sales literature/presentation. People will buy if they can see a benefit from doing so. They may feel the price is too high – that just means you’ve not convinced them that you are delivering greater value than they are asked to spend. Are you detailing all the benefits of your product/service or are you concentrating on the features. Remember, people buy things for what they do, not for what they are.